12 Chinese Zodiac Sign Information in the Red Pages! 12 Chinese Zodiac Sign Explanations and More! Our 12 Chinese zodiac sign pages will tell you all about Chinese Horoscopes and the Chinese zodiac calendar. We also have a section on Chinese myths and Chinese cooking. If you like Chinese cuisine and culture, these are the pages for you. 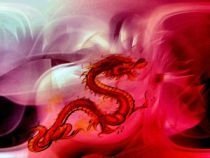 Of all of the qualities and meanings associated with the color red my favorite is that of China. The Chinese view Red as representing prosperity and happiness, an attraction to good luck rather than the danger and power representations of other cultures. For this reason we dedicated our Red pages to things Chinese. Our 12 Chinese zodiac sign section will introduce you to the Chinese astrological signs and the animals associated with them. Chinese astrology compatibility is also discussed, as is the Chinese zodiac calendar. If you are wondering which of the 12 Chinese zodiac sign you are, you’ll find all the information you need here. The Chinese Zodiac calendar focuses on the year you were born rather than the month, each of the 12 Chinese zodiac sign having a twelve year cycle. These cycles are all listed in our Chinese zodiac calendar section which makes finding your Chinese zodiac sign a breeze. To give you a brief overview of the 12 Chinese zodiac sign; they are – Rat, Ox, Tiger, Rabbit, Dragon, Snake, Horse, Sheep, Monkey, Rooster, Dog, and Pig. The Rat is considered the most prestigious of the 12 Chinese zodiac sign, and the entire 60 year cycle of the Chinese zodiac calendar begins with him. Chinese astrological signs are based very much on lunar cycles rather than the solar system of the western horoscope. A Daoist belief is that; as we are composed of 75% water, and the moon controls and affects all water on the earth, it has a great effect on us also. Not that the Chinese astrological signs completely disregard the sun cycle. Each of the 12 Chinese zodiac sign has an inner animal which is governed by a person’s month of birth. The day and hour of your birth are also ruled by different animals, so as you can imagine the Chinese zodiac calendar is quite thorough and very interesting. Now that you have a basic understanding of the Chinese zodiac calendar, visit our 12 Chinese zodiac sign section to discover your Chinese zodiac sign and your Chinese astrology compatibility. We are constantly updating our pages and adding new content and topics. Please subscribe to our RSS to receive updates when we add new content. For an in depth look at each of the twelve animals and their personalities have a look at this guide. Use it to figure out which animal you are. The Chinese Zodiac and the twelve different animal personalities are outlined. Find out which animal you are! These guidlines will help you to determine which of the other animals is the best basic match for you. Find out which Chinese Zodiac Sign you're compatable with. Factor in the 5 elements of Earth, Fire, Wood, Water and Metal, plus your Secret Animal Sign! Here you'll find some Chinese creation myths and some general myths and fables. Interesting and entertaining Chinese Myths for all ages! Fun and fascinating stories full of wisdom and humor! This page catergorizes the different schools of Chinese cuisine. Did You Know That The Sauces You Love From Your Favorite Restaurants Can Now Be Made At Home In As Little As 20 Minutes. It's Easier Than You Think, Stop Paying Those Astronomical Restaurant Prices and Make Your Own Gourmet Sauces at Home!Learn How! Did you know there were actually four different Chinese Cooking styles? Find out what they are and sample some recipes here! You can go directly to get recipes through any of these links, however getting some background on the different styles first will make the recipes even more interesting and appealing! These recipes are from Shanghai and Fukien province. Cantonese is probably the most popular style of Chinese food for westerners. Everyone's probably had some of these dishes! The color Red also symbolizes life and vitality, and so Africa, being the center of the beginning of life, is featured in the color Red section. African legends are both entertaining and educational. As expected, they contain lots of animal characters and exciting adventures. Here is the beginning of our African legends collection. We hope you enjoy this hand picked cream of the crop!